In 2014 San Francisco Veterans Mural was awarded the Placemaking Award. Amos Gregory founded Veteran’s Alley in San Francisco’s Tenderloin District in October 2011. 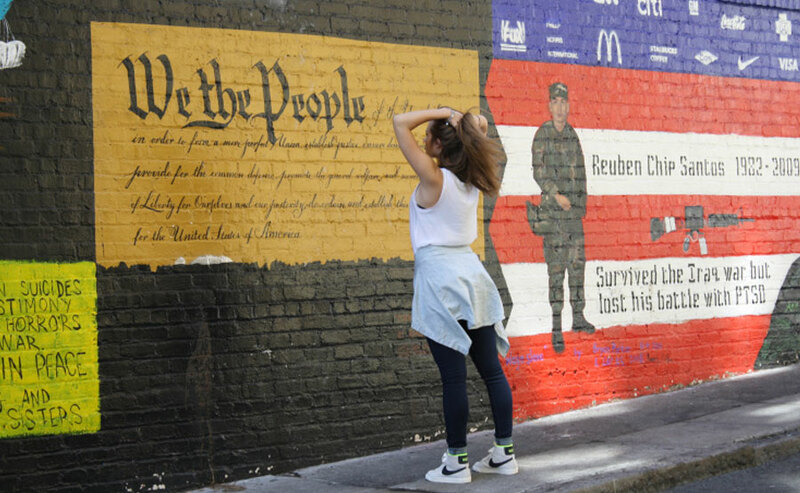 The mural project uses public art to tell the story of war in the voices of veterans. Veteran’s Alley Mural Project beautifies a previously-blighted space and serves as an inspiration to the community.